Do you dream of hiking the AT, but believe the reality to be impossible? What’s holding you back? Most people argue time or money, which is addressed, among other places, here. But I think the majority of excuses I hear are based on people’s own self-image. So many people I have talked to think they aren’t strong enough, fit enough, young enough, or whole enough to hike the AT, as if thru-hiking is only for ultra-athletes. It is easy to believe, whatever your personal struggle is, that you are incapable of hiking the AT. When other people have protected you or derided you instead of encouraging you, you see your own capability only through the eyes of society. But the following people showed their family, friends, and even their detractors that they could do anything. Note: Not everyone on this list is a thru-hiker. Some are section hikers and others are two-thousand-milers. What is important is that all of them dedicated a significant amount of time to the AT, accomplished their hiking goal, and did so despite enormous challenges. What’s also important is that you don’t have to hike the entire AT in one year to experience it. Maybe you are in a situation where hiking the AT in one calendar year isn’t realistic, but that doesn’t mean you can’t get out there and make miles at your own speed. If these people did it, then so can you. 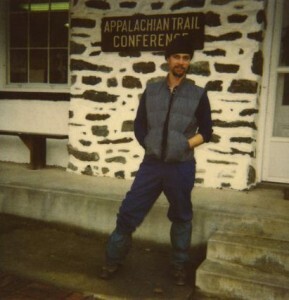 It is hard enough for most people to imagine walking the Appalachian Trail, but Bill Irwin actually felt the Appalachian Trail. Using his fingers to feel the lettering on trail signs, he worked his way North over the course of 259 days. The fifty-year-old thru-hiker broke six ski poles, three pack frames, and one rib. Although he had no maps or GPS, he did have some help – his German Shepherd, appropriately named Orient, learned to read White Blazes, and the hikers ahead of him began to affix sticks to the signs to indicate direction changes. The AMC outfitted Irwin with a radio and a friend guided him the last three weeks as he hiked through snow, ice, and hypothermia in the Maine wilderness. Born with Usher syndrome, Roger Poulin spent most of his life under other people’s care. Deaf, blind, and struggling with balance issues, he had to wear protective equipment as a child that left him feeling embarrassed. This what makes his willingness to dawn his helmet again so meaningful when, at the age of 42, he began section hiking the Appalachian Trail. 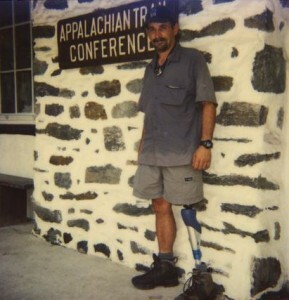 Roni Lepore, a friend of his who shared his hearing impairment as well as his dream to hike the AT, guided him as his service provider on the trail. Roni conveyed information to him by tactile signing – signing against his hand. 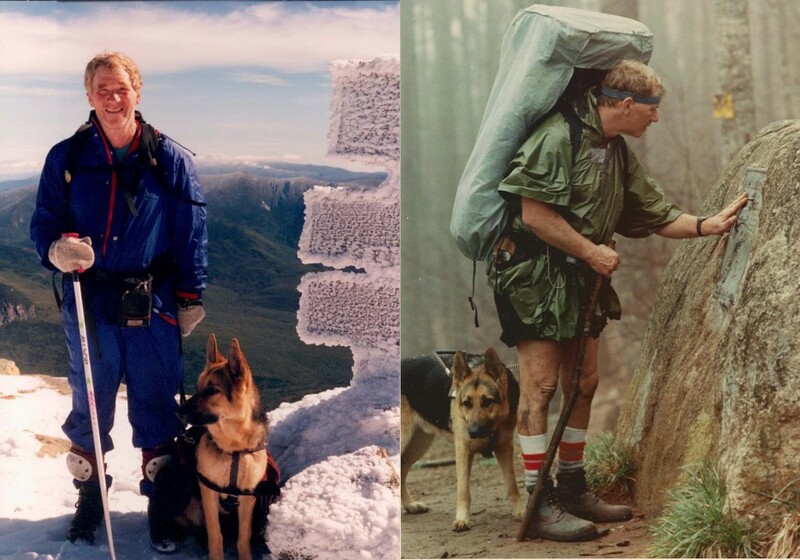 Roger took four years to complete the AT with Roni, hiking as much each year as weather and his own abilities would allow. By the end of the trail, he had a lot of new scars – but he also had a lot of new memories and friends. Writing to other hikers in the trail journals and even teaching some sign language along the way, the trip became an unexpected lesson in communication for Roger, Roni, and everyone they encountered. Roger ‘‘Adventurous Cane’ Poulin, who took the name of the assistive prop which made him feel different growing up, found a community which accepted him on the AT. Asher Wolf was given another shot at life after being diagnosed with Lupus as a teenager: he received a successful kidney transplant at the age of 19. After being told his kidney was only good until he turned forty, Asher decided to do as much with his life as possible before he was forced to return to the restriction of a dialysis machine. He graduated college, taught English in China, hiked in Tibet, and summited Mt. Everest. 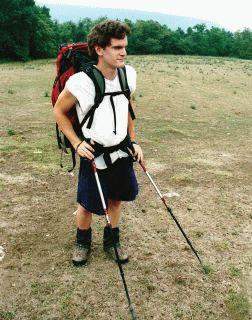 Then, at the age of 25 Asher ‘Slug Face’ Wolf stood on Katahdin, having thru-hiked to raise awareness for organ and tissue transplant. Despite the vulnerability to infection and daily medication routine that he largely hid from fellow thru-hikers, he finished in 5 ½ months. Nan ‘Drag’n Fly’ Reisinger, at the age of 74, is the oldest female to complete a thru-hike. 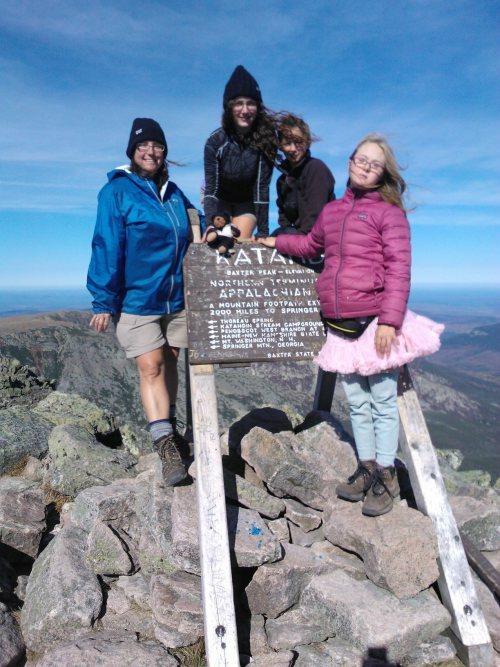 She hiked through wind, rain, and injury with her 67-year-old friend Carolyn ‘Freckles’ Banjak to summit a very wet Katahdin last October. After six months, a relieved Nan returned to her life as an Appalachian Trail Museum volunteer and devoted section hiker, quietly holding one of the most impressive trail records. Few people who have read about or hiked on the Appalachian Trail escape without hearing the legend of Grandma Gatewood. While her main claim to fame is that she was the first solo female thru-hiker, completing her first thru-hike in 1955 at the age of 67, the remarkable part of Grandma Gatewood’s story is not her gender, but rather everything else about her. Emma Gatewood survived severe domestic abuse and the birth of 11 children before she decided late in life that she (understandably) preferred the woods to regular society. Leaving her house in an old pair of keds, she told her adult children she was going for a walk. With a matter-of-fact obstinacy that became her legacy, Gatewood foraged for much of the food she ate, slept under a shower curtain, and carried all of her belongings in a sack over one shoulder. Thus began a life of thru-hiking for the elderly woman, who would hike the AT three times in total and complete 2,000 miles of the Oregon Trail before dying a great-great-grandmother at the age of 85. Always ahead of her time, the woman who is credited with being an ‘ultralight hiking pioneer’ proved back in the fifties that almost anyone can hike the trail with some spare change and sheer willpower. 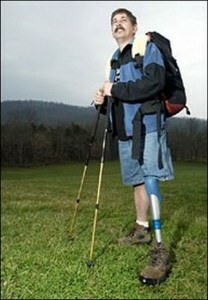 ‘One-Leg’, as he was known during his 2004 hike, became the first above-the-knee amputee to hike the trail, at the age of 35. During the times when his hydraulic leg was not enough, he traded hiking poles for crutches and painstakingly made his way, mile by mile, until blisters formed on his hands. Scott paved the way for other amputees, who now have access to improved technology, to follow in his footsteps. 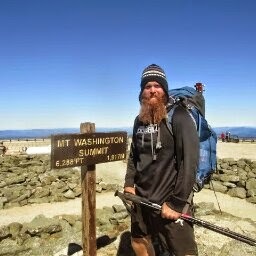 Although it took him slightly more than a year to complete the trail due to weather and other bad luck, I would say one-leg more than earned his title among the ranks of thru-hikers. Although Scott Rogers was the first above the leg amputee, he was surprised to learn during his hike that he was not alone. 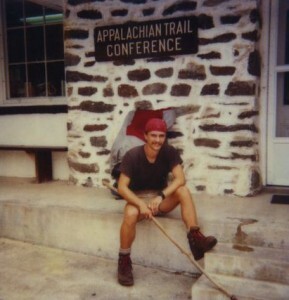 In 1991, more than a decade before Scott, Carl Moon thru-hiked the AT with only one foot. Less than a year after the avid hiker finished his first thru-hike, Carl ‘Highlander’ Moon lost a foot to cancer and was thrown into a state of uncertainty. 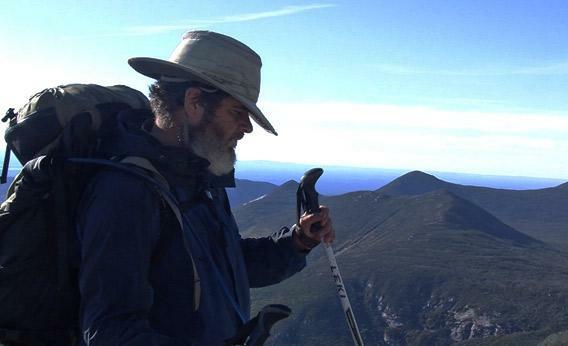 Four years later, after 10 months of hard hiking, he stood on Katahdin for a second time. Assistive technology has come a long way since Bill Irwin’s days, as Mike Hanson proved with his own hike, where he relied solely on his GPS and trekking poles to complete the entire trail. Blind from birth, Hanson was eager to illustrate how technology could facilitate independent lifestyles for visually impaired people such as himself. And Mike Hanson did his research. He downloaded an affordable GPS application for his cell phone that stored all of the locations he needed to hit on the AT as well as oral instructions for each location, using data from the Appalachian Trail Conservancy. 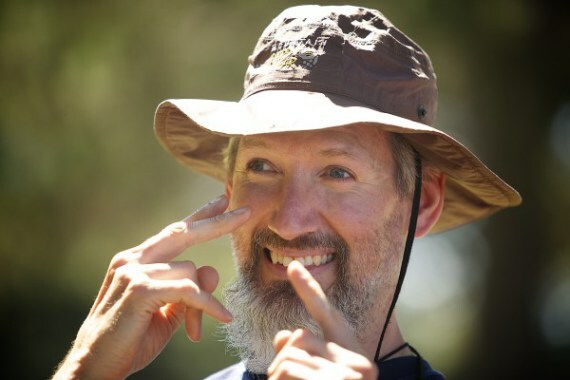 Currently, he is working on new GPS technology, focusing on outreach that will help the visually impaired community recognize their potential in today’s world, and planning his next hike – the Pacific Crest Trail. Lee ‘The Easy One’ Barry has hiked the Adirondack 46, over 1,000 peaks in the Southeastern US, and over 15,000 miles of trail aggregate. 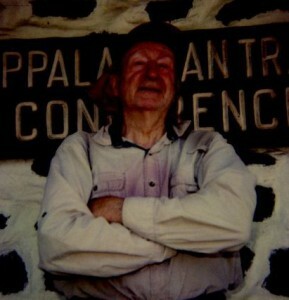 He also happens to be the oldest person on record to complete a continuous thru-hike of the Appalachian Trail. Despite suffering from a deadly allergy to bee and wasp stings, an 81-year-old Lee completed his thru-hike in 220 days. Pretty good for a guy who returned home every month to make Church council meetings. 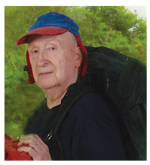 Mike ‘Cimarron’ Caetano decided to section hike the AT starting on his 81st birthday, and began a lifelong relationship with the trail. 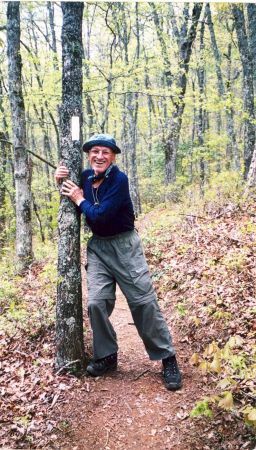 He completed a full hike between his 83rd and 84th years, but he spent long portions of each year in his 80s hiking and re-hiking sections of the AT. Then, at 89, he continuously hiked a full half of the trail, following it up with the Camino de Santiago at 91. 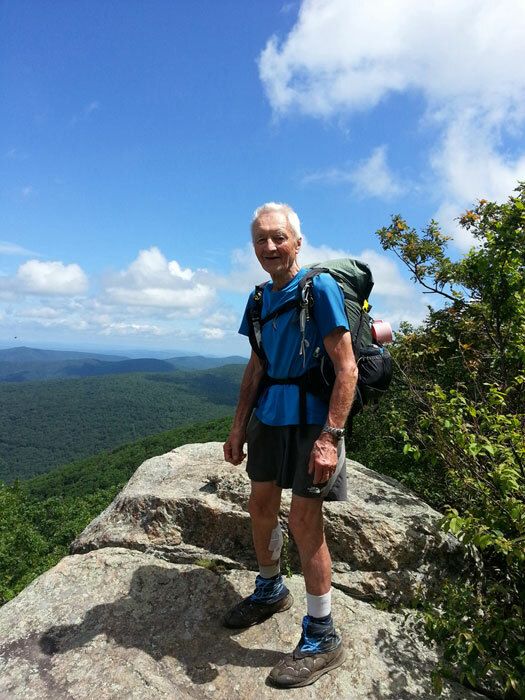 As an octogenarian, Mike hiked more miles of the AT than most people accomplish over the course of their life. Harry Rost hiked the Appalachian Trail from Springer Mountain to the top of Mount Washington in the summer of 2013, which is remarkable for two reasons: 1. Harry was 87 years old and 2. He does not speak English. Harry was a Bavarian WWII soldier who worked for the forest service in Germany after the war. His vacation time and retirement were dedicated to rock climbing, ice climbing, and mountaineering with the love of his life, Inge. After his wife’s death, he headed out on his own adventures, among other things planning to hike the AT. At 345 pounds, Lloyd Fink realized he needed a change. 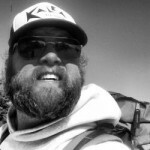 Lloyd stopped drinking, started exercising, and began planning a thru-hike. In order to save money he borrowed most of his gear from family and friends which meant that he spent most of the trail sleeping diagonally in a leaky child-sized tent. In 2013, with a ukulele strapped onto his hefty, outdated gear, he thru-hiked the Appalachian Trail. ‘Uke’, whose beard was the only thing bigger than his personality, serenaded lonely campers at night, belly-laughed like a giant, and kept his fellow hikers entertained all day long with his boundless energy. He nearly received skin grafts after a brown recluse bit him two days from a road crossing, but after seven months, a 242-pound Uke had earned his first beer of the year on top of Katahdin. ‘Crowd Control’, ‘High-5’, ‘LOL’, and ‘Tutu’ stole the hearts of thru-hikers and trail angels in 2013 when they hiked 1,049 miles of trail. They were a family in the truest sense – an unlikely assembly of people who stuck together though the hard stuff and the fun stuff. Most thru-hikers don’t know what to expect when they enter the Hundred Mile Wilderness in Maine, but they usually don’t expect to see a five year old boy, a teenage girl, and a 12-year-old girl with Down Syndrome helping their mother set up camp. It was an even bigger surprise to hikers when the kids knew more about the wilderness than they themselves did. The Crowd Control group, as they became known, treated their journey as a collaborative effort, showing amazing fortitude and self possession as they took care of each other, supported their common goal, and still had fun learning. This is one family who beat all the odds with their hike. You won’t find mention of the last three on this list in a hall of fame or on another internet list – and that’s because most people have never heard of them. The only reason I know who they are and what they accomplished is because when I thru-hiked, in 2013, I had the privilege of meeting them. The point I want to make by including Uke, Harry, and Crowd Control is that every single year bears witness to its own heroes. Every year, remarkable characters with the odds stacked against them triumph over adversity and go on to inspire thousands, hundreds, or maybe only a handful of people whose lives they touch. And next year could be your year. Nc not NYC sorry. If you want to help people Zach discount or give away you’re book instead of using hiker stories to fill you’re wallet, truly a useless book for actual hikers but mere wannabes. Books don’t hike the trail you do go out and have fun and ignore reading experience it first hand. 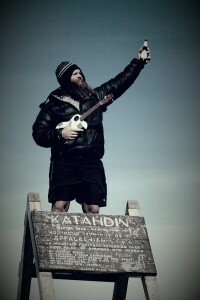 To clarify, Uke did hike the Appalachian Trail from start to finish. In fact, he was a ‘purist’, which means that he carried his pack the whole way and did not slack pack, cut off shelter Y’s, or accept rides. My information source is myself, since I hiked through much of Virginia with Uke, who was held up by a Spider bite after McCafe’s knob and Tinker Cliffs in Southern VA. It is certainly alright to dislike someone you met on the trail, but defamation of an individual’s character, especially when it is false, is not welcome here. 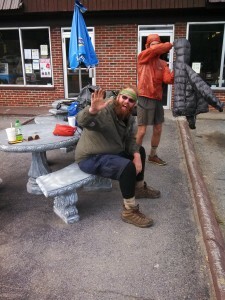 To clarify, Uke did thru-hike the Appalachian Trail. In fact, he was a ‘purist’, which means that he carried his pack the whole way and did not slack pack, cut off shelter Y’s, or accept rides. My information source is myself, since I hiked through much of Virginia with Uke, who was held up by a Spider bite after McCafe’s knob and Tinker Cliffs in Southern VA. It is certainly alright to dislike someone you met on the trail, but defamation of an individual’s character is not welcome here. During my thru hike in 2013 I ran into Uke in North Carolina, Virginia, Vermont, and New Hampshire. We all know that thru hiking is on the “honor” system. To thine own self be true. I have wonderful memories of trying to fall asleep to Uke’s singing. I often spotted his size 15 boot tracks in the mud and knew he was near. I will always be grateful that Uke told fellow hikers to make room for me in the Mount Garfield shelter which was overflowing with hikers. I was near hypothermia when I walked into the shelter. He is a mountain of a man and hiked the trail. Something is wrong with your information or my math. Without downplaying the magnificent accomplishments of either lady through-hiker, I am not sure who holds the record for oldest female through-hiker. You stated that Grandma Gatewood first through hiked the AT at the age of 67 in 1955 then repeated her performance for the third time in 1967 which is eight years after her first through hike. Unless my math is wrong she would have been 75 making her the oldest female through hiker. 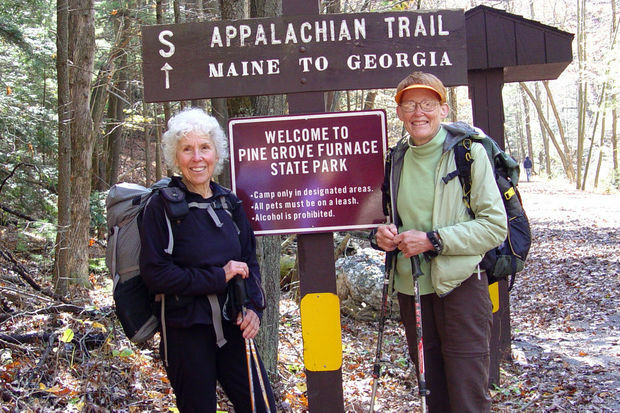 Supposing she finished her third through hike before her birthday that year she would still be the first female to through hike the AT at the age of 74! You are right, that math doesn’t add up! My apologies for mislabeling; GG’s third hike was a section hike over the course of two years, which still allows Nan to be the oldest woman to complete her hike in one calendar year. I’ve fixed it now, but thanks for drawing my attention to it, ChiefHiker! Now I am really confused…if GG thru hiked 1st time in 1955 and she was 67 years old and section thru hiked again for the third time completing it in 1967…she would have been 79 years old…not the stated 75…1967-1955=12+67=79…yes? I made several errors in my post. It was not stated that she completed her third hike in 1967 but in 63-64 and that was a section hike….which I overlooked somehow. It would have been eight years from 55 to 63 but her third hike was a section hike that was begun in 63 and ended in 64. Also, her second thru hike…according to the link was in 57 not 1960. At any rate….she was quite a hiker….having also hiked the Oregon Trail….another journey of 2,000 miles. 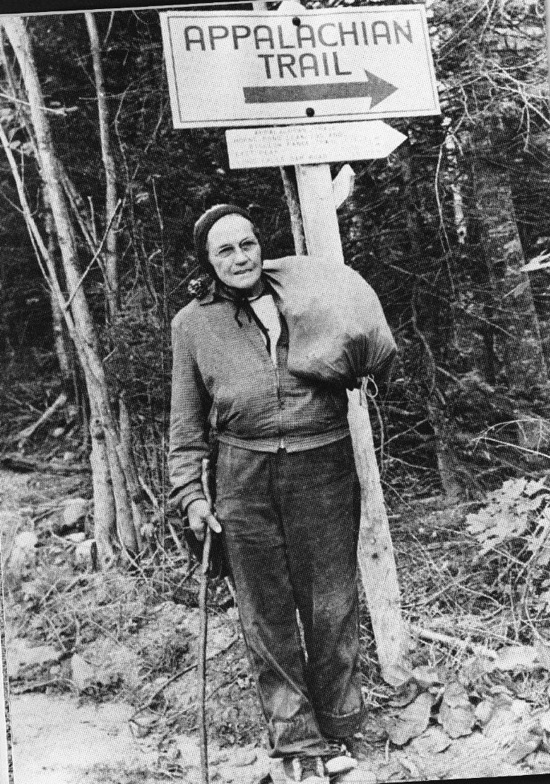 Grandma Gatewood’s Walk is quite a read and I recommend it to anyone. Also, I would point out that, in my opinion, anyone who completes a thruhike of any long hiking trail has quite an accomplishment of which they can boast….regardless of their physical capacity. I don’t know if I had my head in the clouds or maybe in the sand. I definitely made mistakes…..and they won’t be the last. I am a first time AT hiker, 56 years old. This spring, I will be section hiking started in WV going down into Va. I hope to meet you on the trail Eric. I am lucky to be healthy, but I have overcome a lot of obstacles in my life and I am intolerant of people who don’t put out an effort to reach their dreams. I think you can do this. Take one step at a time! Good luck!! I plan to be the first hemipelvectomy (amputation of left hip/pelvis/leg) to hike/crutch the trail thru. Using only my sidestix crutches equipped with tips for all kinds of terrain. Wonderful Lisa! I wish you well. This was a really enjoyable read, Chuckles. Thanks for writing. Does anyo e know how wheelchair accessible the trails is? I enjoyed this article. I have sle and sjogrens. I hiked 1000+ miles on the AT in 2017. During my hike had 2 hospitalizations due to pleural effusion “fluid around my lungs” and kidney stones. I ended up flipping and doing Katahdin. After Katahdin my lupus had taken its toll on me. At first I was disappointed, but I soon realized was an awesome experience that nobody can take away from me. It took me 6 months afterwards to be able to walk normal. Also, since my hike I’ve had 3 renal stents placed, 2 heart ablations, and my esophagus stretched. I’ve only been able to do 2 day hikes this year ,but plan on getting out more next year and hopefully complete the AT in 2020.